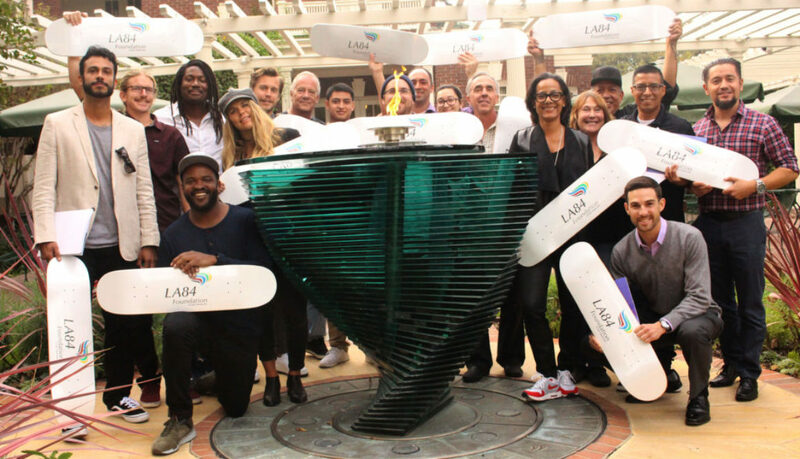 The LA84 Foundation hosted its first convening on skateboarding, bringing together experts from the skateboarding nonprofit world to collaborate and further the impact of their sport on youth across Southern California and beyond. Led by LA84 Foundation President & CEO Renata Simril and USC Annenberg Lecturer Neftalie Williams, the group discussed how to scale their respective organizations, shared strategies for engaging youth through skateboarding, and set benchmarks to evaluate and improve upon when assessing a program’s success. “We need to move out of the heart phase and into the brain phase,” said Thomas Barker, Director of the International Association of Skateboarding Companies. LA84’s groundbreaking survey of youth sports participation in LA County showed that skateboarding had the highest play frequency of any sport. Yet, there remains a need to convert this passion into programs designed at reaching and keeping youth involved. Skateboarding can also teach skills and instill positive habits in young boarders, such as a commitment to community service through organizations like Stoked Mentoring, led by founder, former X-Games host and convening attendee Sal Masekala. Skateboarding will make its Olympic debut at the 2020 Tokyo Games. More than 60 high school coaches took in a wealth of knowledge and coaching expertise on Saturday, November 20 at the 2016 LA84 High School Soccer Coaches Clinic. Hosted at the Windward School in west Los Angeles at no cost to the participants, coaches from across Southern California took in a variety of sessions from well-seasoned soccer experts. 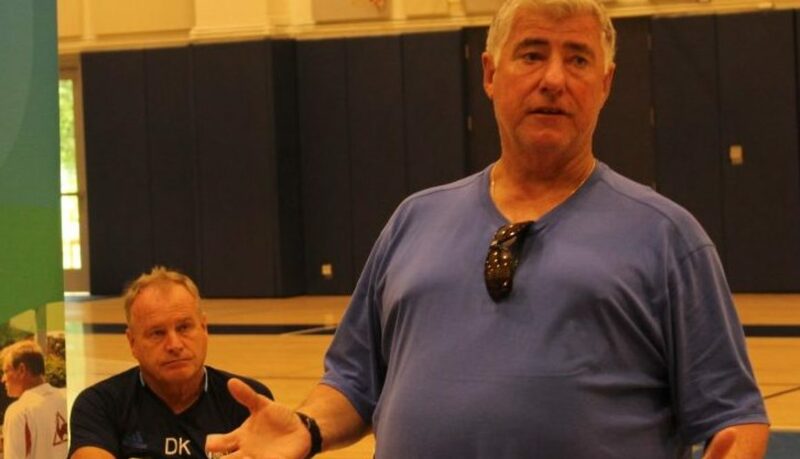 Among the presenters were former Seattle Sounders and all-time winningest MLS coach Sigi Schmid, West Bromwich Albion assistant manager David Kemp and former U.S. Women’s National Team assistant and current LA84 Soccer Coordinator Billy McNicol. The high school coaches also took in instruction on a range of topics including the best team training practices, how to adjust to new California Interscholastic Foundation (CIF) rules, and how to best run goal-scoring drills. Other instructors at the clinic included St. Francis HS Coach Glen Appels, Rosary High School coach Jamie Caffrey, Santiago Canyon College coach Lisa Hermen and Windward School head coach Nick Webster. LA84’s next coaching clinic, all of which are free of cost, will take place in early 2017. 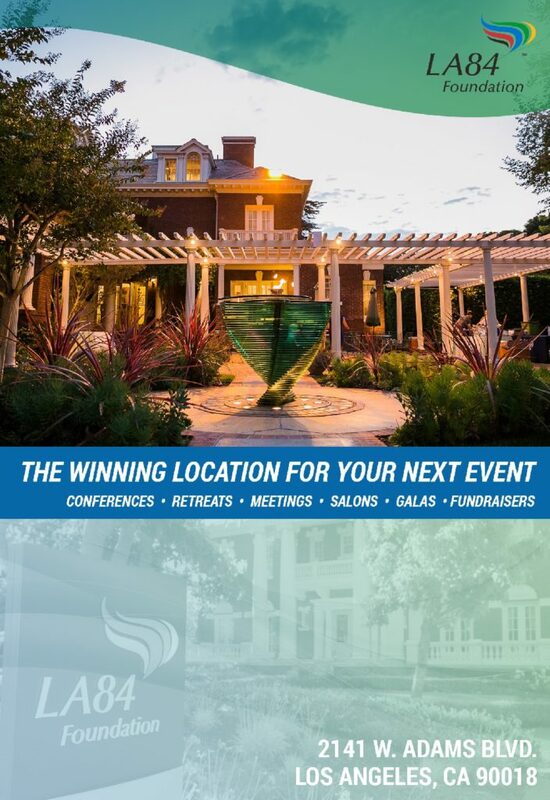 Simril has been the President & CEO of the LA84 Foundation since January 2016. Since then, Simril has led LA84 in ‘Playing Forward’ to continue leveling the playing field of youth sports. “She is willing to take a look at anything, take a look at anybody, and look at any possibility. 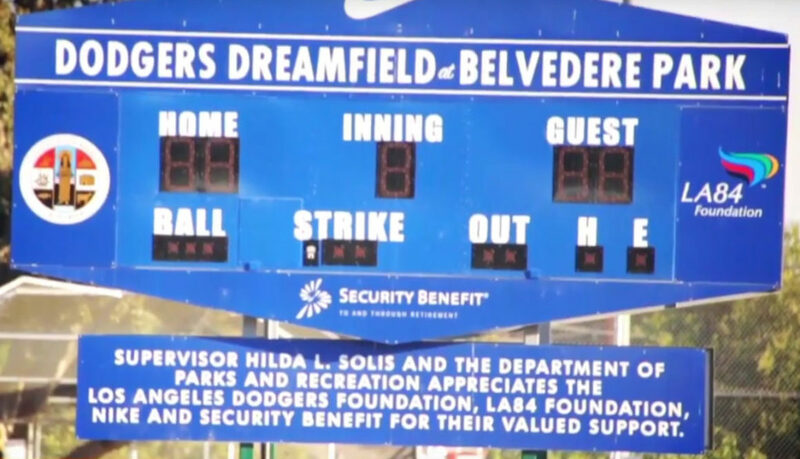 She keeps everyone in the game,” said Peter Ueberroth, the chief organizer of the 1984 Los Angeles Olympic Games and current LA84 board member. 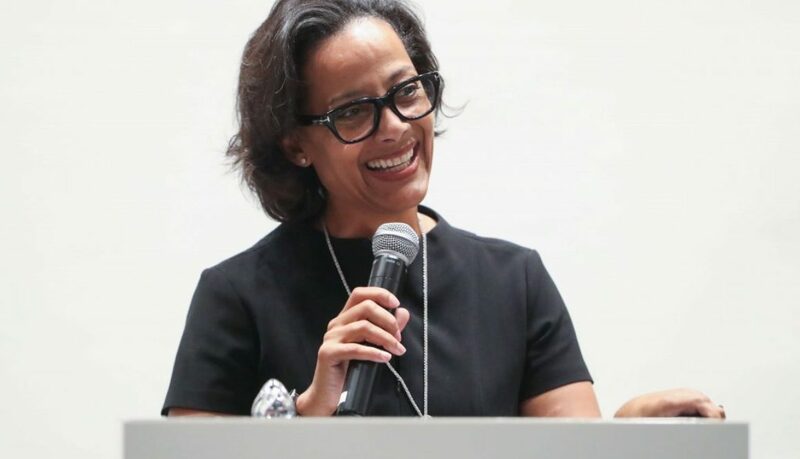 WISE (Women in Sports and Events) Los Angeles also honored ESPN reporter Shelley Smith and FOX Sports executive Claudia Teran for their achievements. In 1984, Los Angeles welcomed the Olympic Games for two magical weeks. More than 30 years later, the legacy of those Games still positively impacts the lives of young athletes. This is the power of the LA84 Foundation. 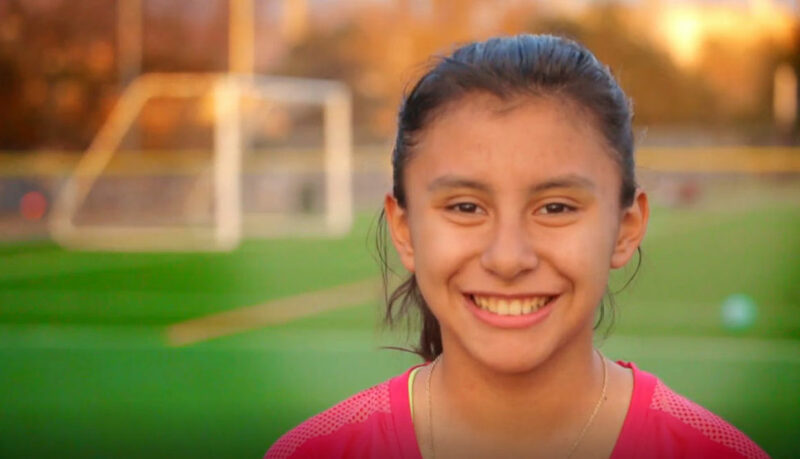 The LA84 Foundation is committed to leveling the playing field in youth sports, which means creating more and more opportunities for girls to play and thrive on and off the field. 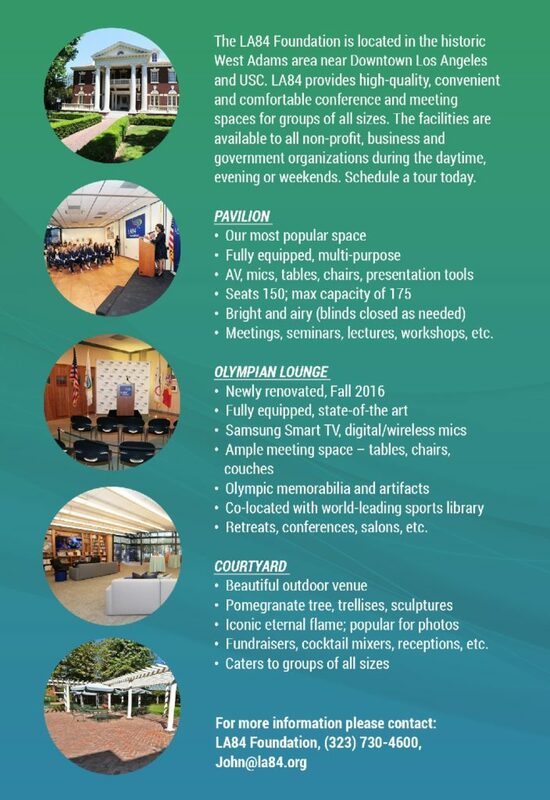 How has the LA84 Foundation made a difference in the Southern California youth sports community for 31 years? See how LA84 has focused on Equity in Play in order to give every kid a chance and a place to thrive. Learn LA’s most popular sports in LA84’s first-of-its-kind Youth Sports Survey of Los Angeles County. When school gets out, problems can begin for youth. 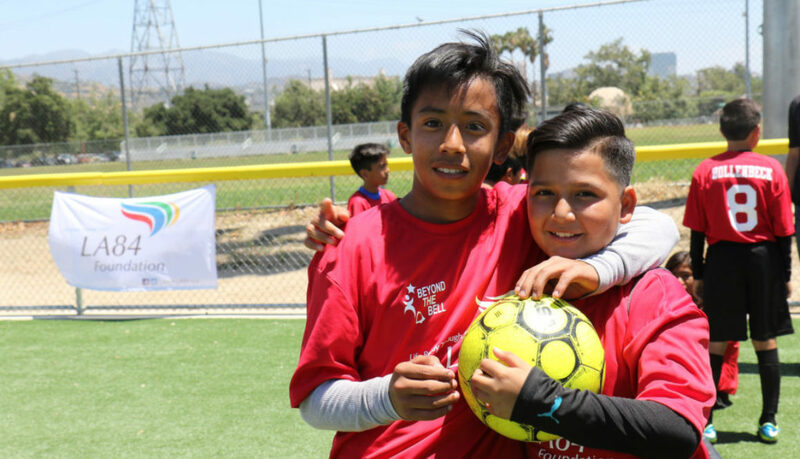 The LA84 Foundation is working together with afterschool programs to make sure kids across Southern California have to safe place to be, and play, when class is done. 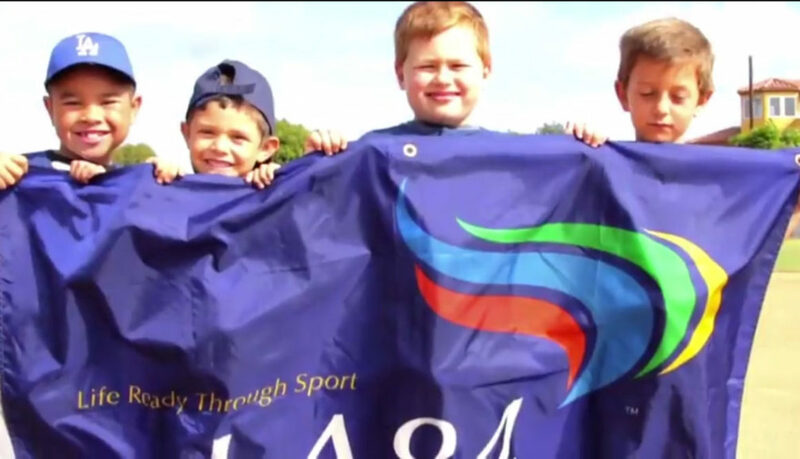 LA84 wants to hear how to boost youth sports from those our work affects: Young athletes. 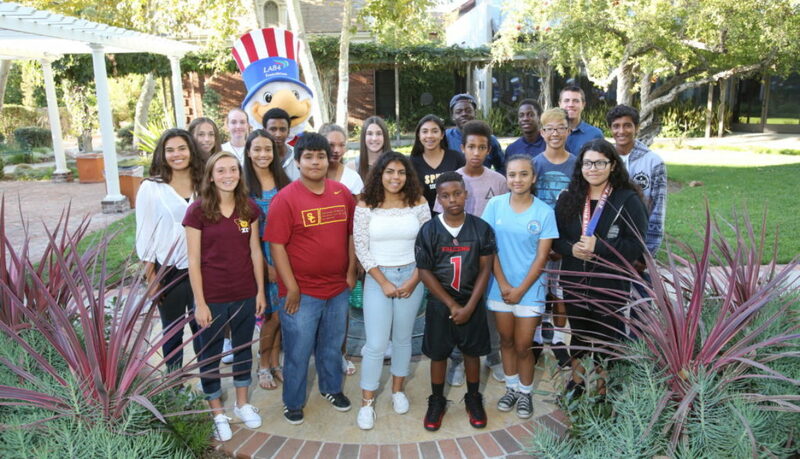 The LA84 Student Athletes in Motion, or SAMbassadors, is a groundbreaking program where students advise the foundation and help shape our work and vision from the viewpoint that matters most. The benefits of teamwork aren’t limited to a baseball diamond or basketball court. When organizations work together, opportunities to create and boost youth sports programs increase exponentially. 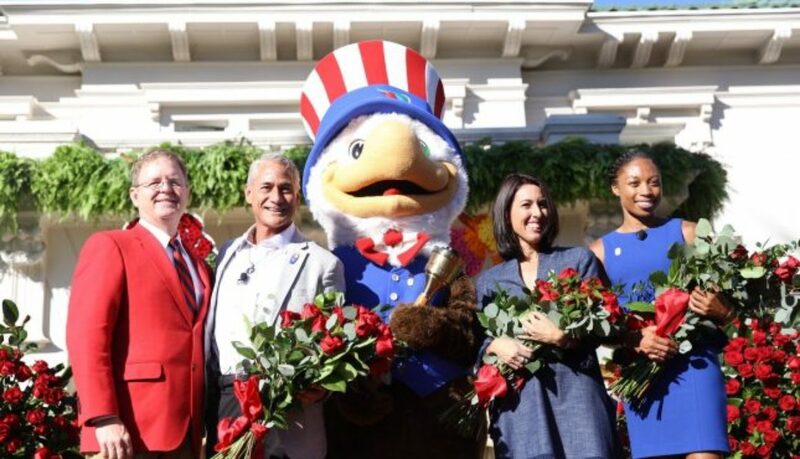 LA84 mascot Sam the Eagle was at the Tournament of Roses House in Pasadena to give three Olympic legends a very special honor. 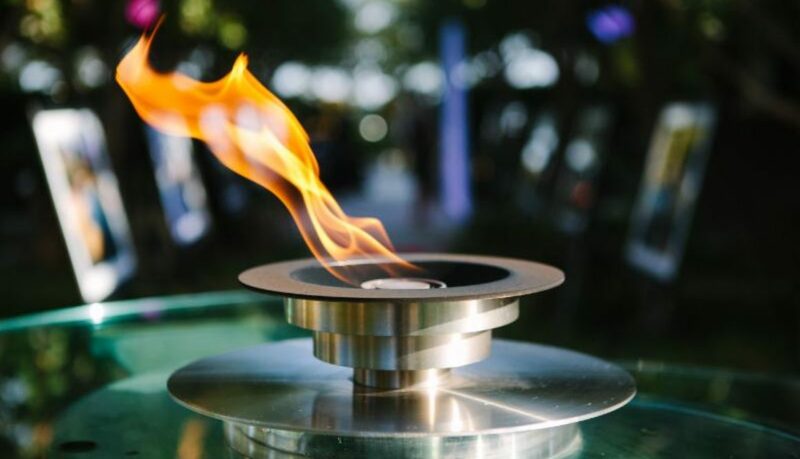 This year, LA84 will be involved with LA 2024 and the City of Los Angeles in an Olympic-themed “Follow The Sun” float at the 128th Rose Parade.